07-10 Step 2 has you rivet the aft 8 rivets common to 3 items - skin, bottom rib and attach strip. It never asks you to rivet the one hole aft of the attach strip - common to only the bottom rib and skin. 7-10 Step 3 then has you rivet the bottom ribs together with blind rivets. This makes it almost impossible to reach the last rivet on that line next to the trailing edge wedge. Some builders have had to drill out the blind rivets or buck the rivet against the opposing one. Not certain if this is a plans error, but I think in Step 2 it should say to rivet the aft 8 common to the skin / rib / attach strip AND rivet the one common to the skin and rib. All this is done before you rivet the two bottom ribs together. Boy, I’m glad you posted this.... I did that single rivet while I was also doing the eight on the attach strip. Wrong marking or more likely, error in that plans? 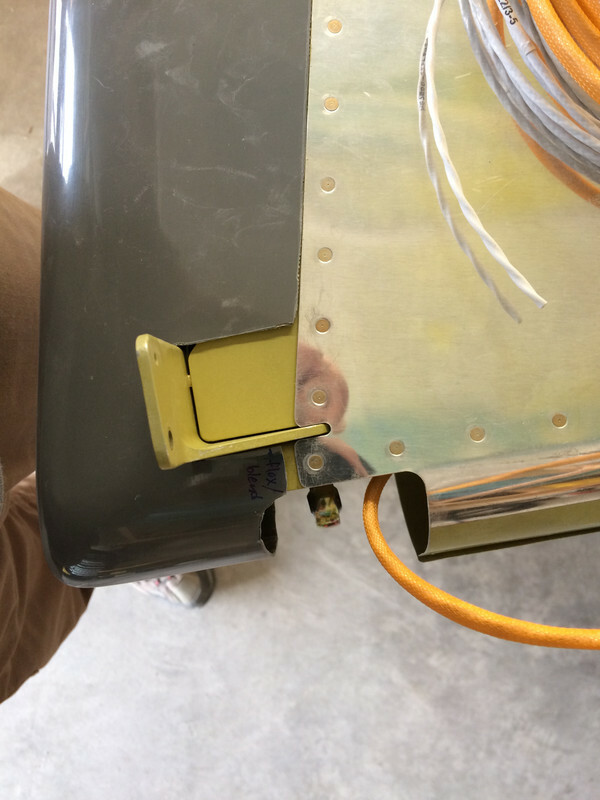 In the RV-14 COMMON FUSELAGE HARNESS diagram the Left and right Landing light wire is labeled with P2177 and F2177. On page 31-05 figure 1 it shows the fitting clocked at 25* off horizontal. Then on page 31-11 figure 2 & 3 show a different clocking based on gear configuration. According to Van's use 31-11. Just a heads up that the Google sheets file is, "in the owner's trash" and won't be available much longer. I made a copy of it just in case. I thought that there used to be a copy of the actual plans with edited "gotcha" notes somewhere in the forums, but I can't seem to locate them any longer. Anyone know if they were moved, or if they still exist? within the area defined by the scribe line. Remove the area up to the scribe line on the rudder bottom fairing as shown in Figure 2". 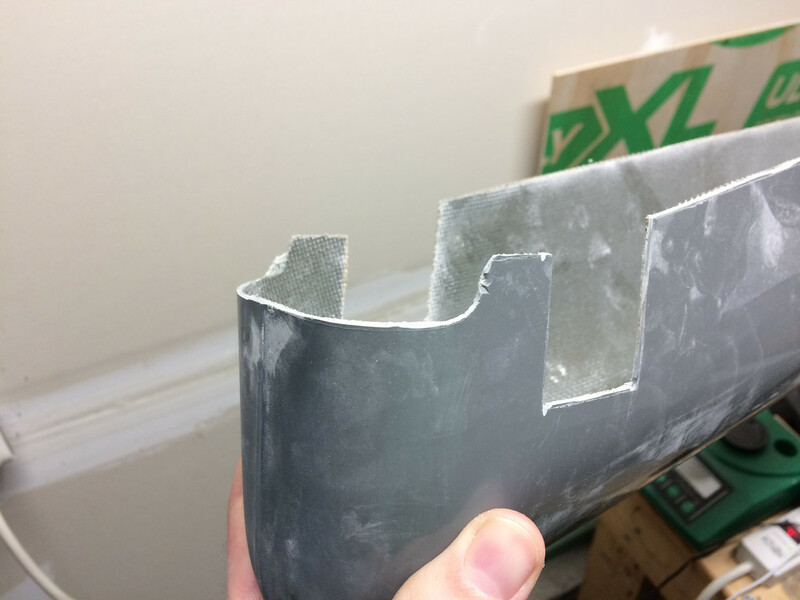 Pay attention to figure 2 as it shows a straight cut along the top of the fiberglass within the scribe line. DO NOT FOLLOW THE SCRIBE LINE AROUND THE FRONT OF THE RUDDER FAIRING. If you do so then you will end up with a funky looking fairing and realize you just screwed up. DO NOT FOLLOW THE SCRIBE LINE AROUND THE FRONT OF THE RUDDER FAIRING. If you do so then you will end up with a funky looking fairing and realize you just screwed up. I went back out and fit the fiberglass to the rudder and the cutout in front actually fits pretty nice. I had to clean up the edges a bit since the scribe line was not equal on each side and the front area had a distinct slant, but once trimmed significantly and fitted to my rudder it looks a bit better. "be weary of the scribe lines symmetry and ensure you cut short before trimming to the specific fit of your rudder. Figure 2 does not match the scribe line on the R-911 Rudder fairing." I'll add some Flox to fill the gap in front of the rudder horn once the temperatures here warm up a bit. Last edited by mulde35d : 01-02-2019 at 04:30 PM. Page 12-07 step 6 is to attach the rider bottom fairing, but the diagram below specifying the screws has the title “FIGURE 5: MATCH-DRILLING RUDDER BOTTOM FAIRING”. Obviously this is already done.